Looking to store breastmilk for the little ones, whilst preserving its goodness in a hassle-free manner? 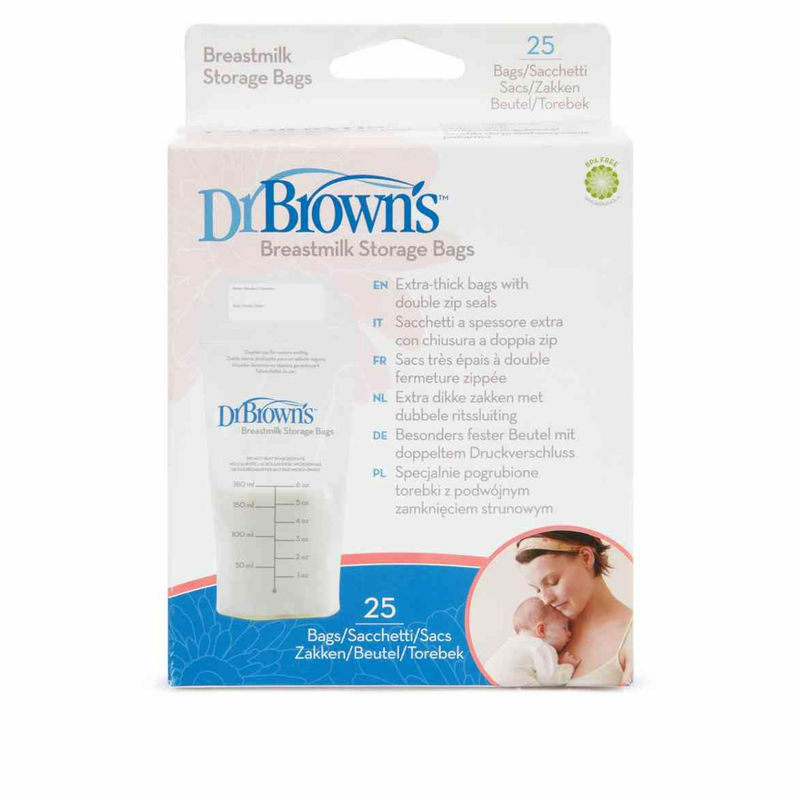 Dr. Brown's Breastmilk Storage Bags are built for durability to store and protect your precious breastmilk. The self-standing bag features a leak-proof double zipper seal with extra thick design. These bags mark for accurate measurement and a labeling area for indexing and organizing. Bags are pre-sterilized for cleanliness.